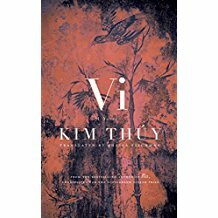 Kim Thúy Ly Thanh was born in 1968 in Saigon, Vietnam, but fled with her family a decade later, eventually settling in Quebec. She earned degrees from the Université de Montréal in linguistics and translation (1990) and law (1993) and has worked as a translator, interpreter, lawyer, food commentator and restaurateur. Thúy was the proprietor of a restaurant called Ru de Nam. Her first novel, Ru was initially published in French and was well-received in Canada and internationally. As of spring 2015, foreign rights to Ru have been made in twenty-five countries. Thúy was named to the Ordre national du Québec in 2015. Thúy recently published a cookbook in French: Le secret des Vietnamiennes (Montréal: Trécarré, 2017), that won the Taste Canada 2018 gold/or award in the French language category: Livres de cuisine régionale et culturelle. The cookbook will be published in English translation in April 2019 as Secrets from My Vietnamese Kitchen: Simple Recipes from My Many Mothers (Appetite by Random House, 2019). English translation from the French by Sheila Fischman. Toronto: Random House Canada, 2014. Mãn has three mothers: the one who gives birth to her in wartime, the nun who plucks her from a vegetable garden, and her beloved Maman, who becomes a spy to survive. 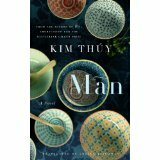 Seeking security for her grown daughter, Maman finds Mãn a husband–a lonely Vietnamese restaurateur who lives in Montreal. Mãn is a mystery–her name means “perfect fulfillment,” yet she and her husband seem to drift along, respectfully and dutifully. But when she encounters a married chef in Paris, everything changes in the instant of a fleeting touch, and Mãn discovers the all-encompassing obsession and ever-present dangers of a love affair. Ru est le récit d’une réfugiée vietnamienne, une “boat people” dont les souvenirs deviennent prétexte tantôt à l’amusement, tantôt au recueillement, oscillant entre le tragique et le comique, entre Saigon et Granby, entre le prosaïque et le spirituel, entre les fausses morts et la vraie vie. Toronto: Random House of Canada, 2012. Ru. In Vietnamese it means lullaby; in French it is a small stream, but also signifies a flow – of tears, blood, money. Kim Thúy’s Ru is literature at its most crystalline: the flow of a life on the tides of unrest and on to more peaceful waters. Written with piercing clarity, sharp observation and sly wit, Ru carries us along on an unforgettable journey from a palatial residence in Saigon to a crowded and muddy Malaysian refugee camp, and onward to a new beginning in Quebec. Moving seamlessly from past to present, from history to memory and back again, Ru is a book that celebrates life in all its wonder: its moments of beauty and sensuality, brutality and sorrow, comfort and comedy. Toronto: Random House Canada, 2018. The youngest of four children and the only girl, Vi was given a name that meant “precious, tiny one,” destined to be cosseted and protected, the family’s little treasure. Daughter of an enterprising mother and a wealthy, spoiled father who never had to grow up, the Vietnam War destroys the life they’ve known. Vi, along with her mother and brothers, manages to escape–but her father stays behind, leaving a painful void as the rest of the family must make a new life for themselves in Canada. While her family puts down roots, life has different plans for Vi. As a young woman, she finds the world opening up to her. Taken under the wing of Hà, a worldly family friend, and her diplomat lover, Vi tests personal boundaries and crosses international ones, letting the winds of life buffet her. From Saigon to Montreal, from Suzhou to Boston to the fall of the Berlin Wall, she is witness to the immensity of the world, the intricate fabric of humanity, the complexity of love, the infinite possibilities before her. Ever the quiet observer, somehow she must find a way to finally take her place in the world. Sing, Pamela V. “Kim Thúy: A Gentle Power.” In Ten Canadian Writers in Context, eds. Marie Carrière, Curtis Gillespie and Jason Purcell, 181-188. Edmonton: University of Alberta Press, 2016. Truong, Mireille Mai. “Lieu humain / Lieu personne chez deux écrivaines Canado-vietnamiennes, Thuong Vuong-Riddick et Kim Thúy.” In Cultural Mapping and the Digital Sphere: Place and Space, edited by Ruth Panofsky and Kathleen Kellett. Edomonton: University of Alberta Press, 2015, 249-261. Q&A interview with Terry Hong of Bloom-site.com from 18 September 2013. Shelagh Rogers of The Next Chapter with Shelagh Rogers (CBC Radio One) in extended conversation with Kim Thúy, abridged interview first broadcast 1 September 2012.